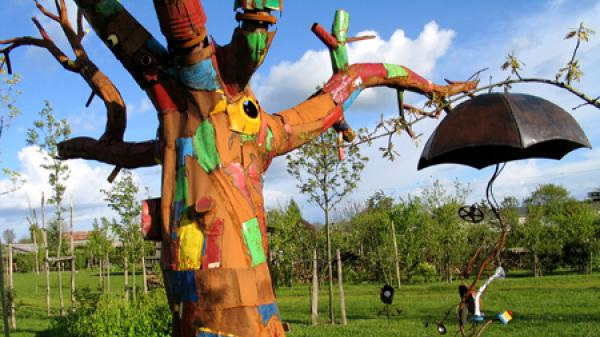 In the centre of historical Poitou, between wooded countryside and valleys, the Gatine Country invites to the exploration of its abundant landmarks : castles and monuments, gardens, original themed parks. And as welcome rimes with festivities and conviviality, the Gatine Country enjoys holding festivals and renowned cultural events (game festival and music festivals all summer long in Parthenay). the Futuroscope (3/4h), the Puy du Fou (1h), the Marais Poitevin (1h), the Medieval city of Parthenay (0h10), the villages of the Thouet river valley, the World Navel... So many curiosities which will leave you speechless ! Discover the region by car, on foot or by bike : the village of Airvault, with its abbey church, covered market and underground fountain, sets the tone. 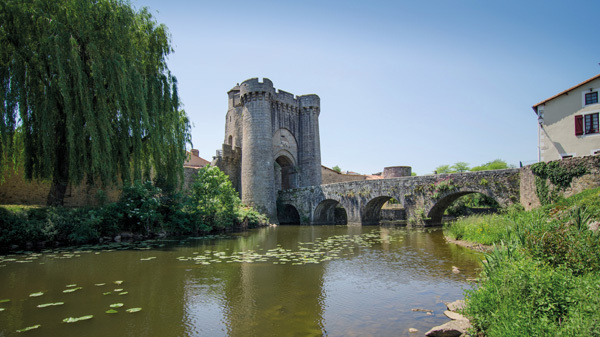 Next, the moated château and village of St-Loup-sur-Thouet will surprise you. Then the Lac du Cébron provides room to relax before continuing along the Thouet, crossing via a railway viaduct to reach the haughty medieval fortified town of Parthenay. Open up your eyes : in the natural hedgerows, in the paths, here the nature is alive ! This area could be a Regional Natural Park as soon as. 3 hours 40 away from Paris, by the A10 : exit 29 POITIERS, heading for Parthenay. At La Ferrière en Parthenay, turn left and head for SAURAIS. 2 hours away from Nantes, by the A83, exit 10 PARTHENAY. When you’re in Parthenay, on the way to Poitiers, turn right, head for La Chapelle Bertrand and then SAURAIS. Voted the world's best park, Puy du Fou offers a multitude of great shows and adventures for the whole family. 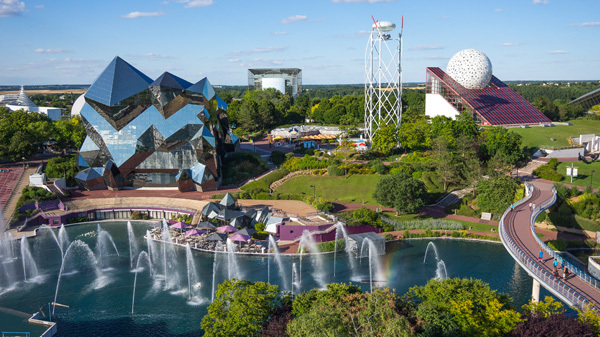 Set off amazing journeys and dive headlong into the fantastic, fun and festive Futuroscope atmosphere ! 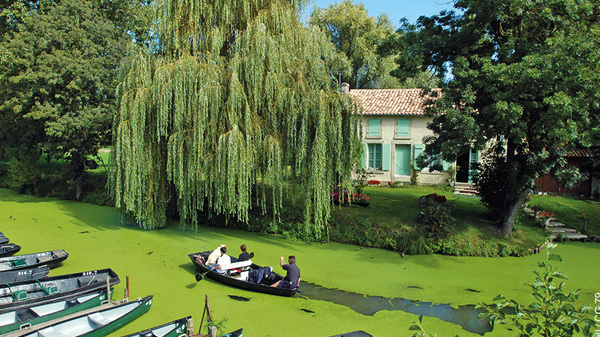 The Marais Poitevin is one of the rare wet zones of France and after the Camargue, it is the second largest. 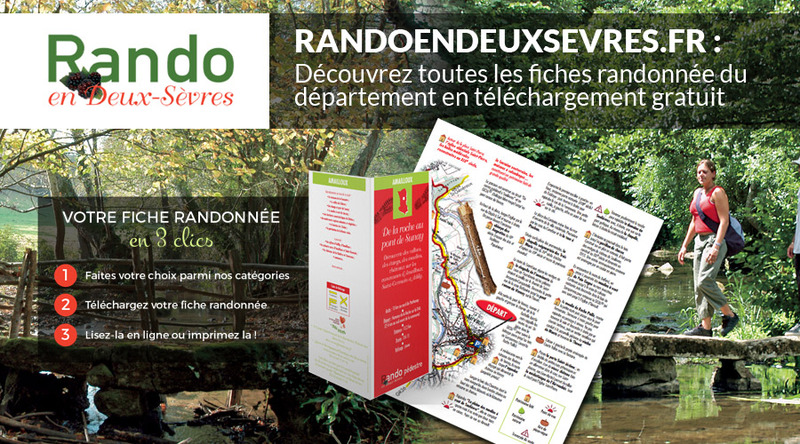 It is made up of 75 municipalities, two regions, Poitou-Charentes and Pays de Loire, three departments, Deux-Sèvres, Charente-Maritime and Vendee. "Marais Poitevins" spreads out from Niort in Deux-Sèvres, to the Bay of l'Aiguillon in Vendee, with a small curve into Charente-Maritime. The Marais Poitevin covers overall approximately 100 000 hectares and the length from east to west, from Niort to the ocean, is 70 km. “Get into the legend. The legend says that in the beginning was the word. Then, the word became emotion. And then, it became fire, the burning fire of the tales of the world. During the mythological Big Bang, this fire scattered to the four corners of our earth including Pougne-Hérisson in a huge burst of flame, spreading the ...” To know more, go to Pougné-Hérisson, a legendary village engendering the tallest of tales. 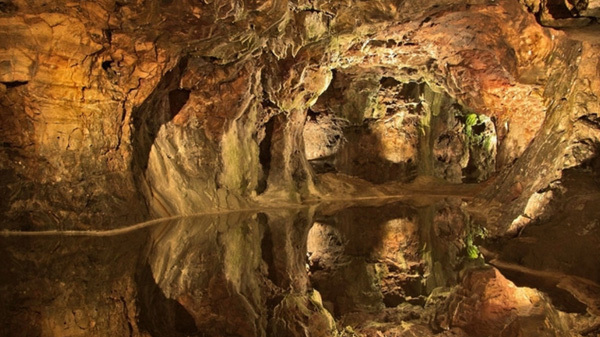 The oldest silver mines in Europe open to visitors, exploited in Charlemagne’s time until the end of the 10th century to the mint of Melle. 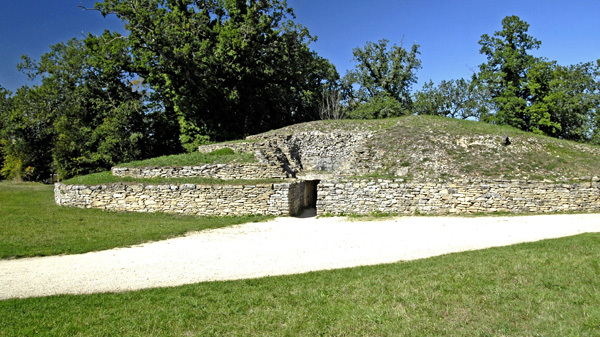 The Tumulus of Bougon is a group of five Neolithic barrows located in Bougon near La-Mothe-Saint-Héray, between Exoudon and Pamproux in Nouvelle-Aquitaine, France. Their discovery in 1840 raised great scientific interest. To protect the monuments, the site was acquired by the department of Deux-Sèvres in 1873. The capital of Gâtine, a town of Art and History and an old stopping place along the Way of St. James, the medieval town of Parthenay on the banks of the Thouet invites lovers of architecture to discover its ancient heritage. 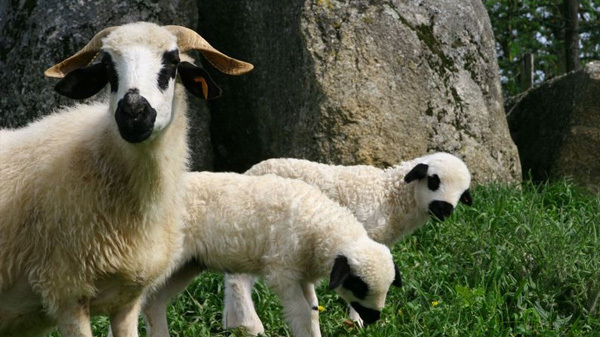 Mouton Village (sheep village) park welcomes you in a preserved countryside at the border between Deux-Sèvres and Vienne to the charming village of Vasles. When you come to Mouton Village, you rediscover an authentic natural site allowing you to take a deep breath of fresh air. In this 15-acred park with its varied flower oils and plants, you move forward as you breathe, that is to say freely and as you like it. You will retrace the footsteps of Nicolas and his grandfather, the shepherd; they will initiate you to a tale being told full-scale, before your very eyes... To further enrich your day as a visiror, there are various spectacles.